Anyone planning a vacation? 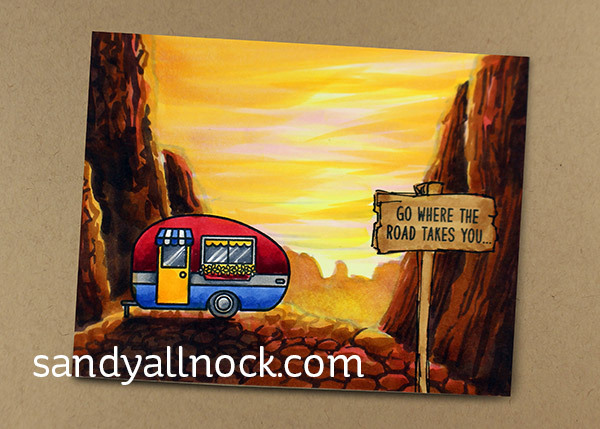 Try turning your destination into a card background! 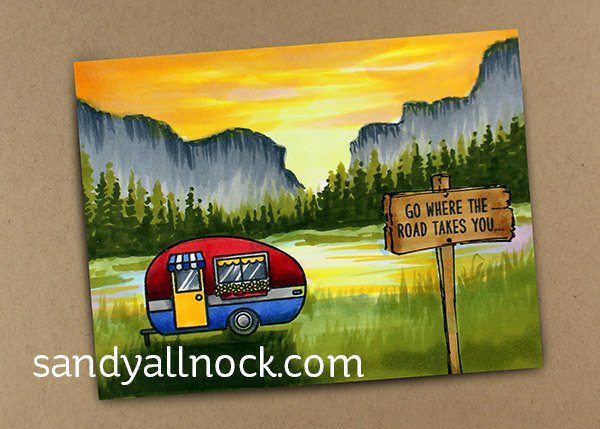 This cute little camper from Sunny Studios is perfect to celebrate those summertime road trips. The backgrounds in the speed video use techniques taught in the Hex Art class; the realtime videos have been added as a bonus lesson at the end, so if you already took the class you can go back and watch it. Note there’s no voiceovers but I do have colors listed on screen, and the techniques from class written on screen too. Watch the video below or click HERE to see it in HD on YouTube. Second, a desert scene…the marble technique created the cliff-type rocks, and the pebble technique made me wonder how they got that RV perched up there. LOL! 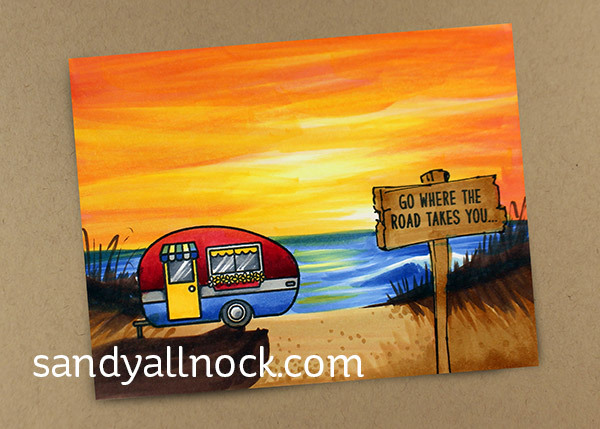 And third, a beach scene with a stronger sunset…can I go sot on that beach please? WOW! These are all so amazing and fun to see them coming together. OMG what stunning coloring. Makes me want to be there in every one of them! Fabulous!! Let’s go sit on a beach, great idea. AMAZING! I thought your dinosaur scenes, the unicorn surprise party and the safari cards were awesome, now this! You have so much talent! I gotta get signed up for the Copic class! Thanks for sharing your creativity. Love these cards. I might even attempt something like this. You always inspire me to go outside my comfort zone. Thanks! I love these scenes! I’m excited to give them a try. 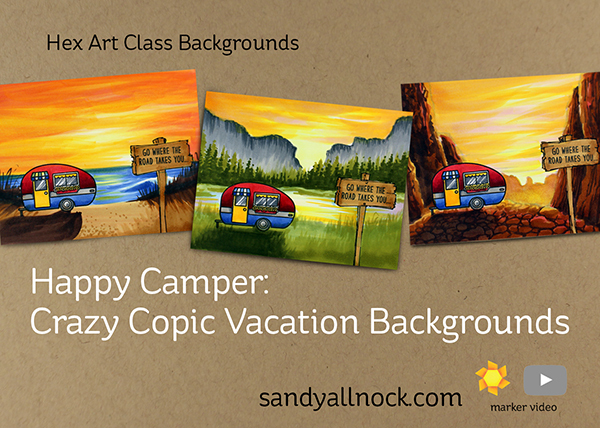 What a great summer cards, like those also for a scrapbook, with or without the camper. Thanks for this great idea. Stunning colouring one of my favourites for sure! What fun! Cute stamp set – and great ideas for backgrounds. I’ll come back to this one many times!